Suspense. Every story needs some. As Kurt Vonnegut said, "Every character should want something, even if it is only a glass of water." Suspense enters with the question: Will the character get it? Suspense is an emotional state created in a reader/viewer when an obstacle is put in the way of a character, one they care about, achieving something they desperately want or need. "High-speed debris strikes the Explorer and Hubble, and detaches Stone from the shuttle, leaving her tumbling through space. Kowalski, using a Manned Maneuvering Unit, soon recovers Stone and they make their way back to the Space Shuttle. They discover that it has suffered catastrophic damage and the crew is dead. They use the thruster pack to make their way to the International Space Station (ISS), which is in orbit only about 1,450 km (900 mi) away." Unfortunately "As they approach the substantially damaged but still operational ISS, they see its crew has evacuated in one of its two Soyuz modules. The parachute of the remaining Soyuz has deployed, rendering the capsule useless for returning to Earth." Gravity has all three. The space debris provide a cascading series of dangers to Ryan. Usually, though her situation is desperate, one feels there's a chance--perhaps a vanishingly slim one, but still a chance--to escape the danger. Also, there is a finite amount of time in which to do so because she is running out of oxygen. I think this shows us something else: Suspense (a state created in the reader) is created through conflict. That is, suspense is created through a character's efforts at getting what they need/want being blocked. So lets look at the different kinds of conflict we can set up in our stories. What kind of conflict do we want? Is conflict 'one size fits all' or are some kinds of conflict compelling and other kinds less so? Before I go on to examine that, though, I'd like to take a step back and quickly point something out about MacGuffins. If you're not familiar with the term "MacGuffin" see my article The MacGuffin: A Plot Devise from Screenwriting or go to the article on tvtropes.org. A while ago I read through the articles in Uncle Orson's Writing Class (I highly recommend it) and--though I can't remember which article I read it in--came across something to the effect that a MacGuffin was a thing that one's characters cared about (and, of course, something that doesn't need much of an explanation; treasure, jewels, and so on). The only reason I, as a reader, care about whether the character gets the MacGuffin is because I care about the character and the character wants it. Granted, if you're anything like me, many times the MacGuffin takes on a life of its own. For instance, the briefcase in Pulp Fiction or the golden falcon in The Maltese Falcon. But that's beside the point. Those movies work because what I care about is the character achieving their goal. I'd care about that even if I had no interest in that goal for myself. I made that digression--the one about MacGuffins being something that the character cares about--because I think it lies at the heart (or at least very near the heart) of what Lee Goldberg says about suspense. "You have to be careful that you're not going with easy conflicts. It's easy to have someone with a gun walk in, it's easy to have a hurricane or earthquake or monster. Those are cheap conflicts. The best conflicts are the ones that truly come from character. At first I was surprised. We don't know who our readers are going to be so it would seem a good idea to find a conflict that anyone could relate to: one's spouse and children being killed by a bomb that a terrorist set off, for example. Who couldn't relate to that? Here, though, Goldberg argues the opposite. Later on in the talk he uses Monk, a character with an obsessive compulsive disorder who is afraid of ... well, pretty much everything! ... as an example. Not everyone is terrified of walking through sewer water. Yes, this is something we'd like to avoid; the idea is revolting; but for Monk it is terrifying. My point is that Monk has desires and goals and fears that no normal person--and certainly the lion's share of the series' readers--have. And yet it was a popular series, filled with suspense. Before I end this post I'd like to talk about a practical technique Lee Goldberg mentioned for creating suspense. Imagine a camera cutting between the hero and the villain, then between the villain and the hero. Cross-cutting in third person allows a writer to share information with the audience--in our case, the reader--that other characters don't know. Lee Goldberg says "You can control point of view to create suspense." 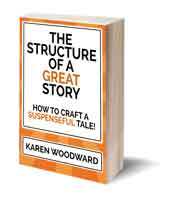 "When you write a book in first person the essential element of suspense is understanding the conflict within the lead character. You have to establish who he or she is, what they want, what they're afraid of, what they stand to lose. And then create a situation where all those fears and risks come to a head. So if you are in the heart and soul of the hero or heroine and you see the events that are happening around him or her you feel the suspense that they feel. "There it's a manipulation of the information you share about your hero combined with the conflict you put them in that's going to make that information have relevance. "That's a harder thing to pull off. 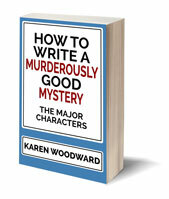 Suspense--I believe--is much easier to do third person than it is first person." Lee Goldberg recently teamed up with Janet Evanovich to write the New York Times bestselling books "The Heist" and "Pros & Cons" and is now a #1 New York Times bestselling novelist. Lee Goldberg is a rare find, a senior writer who has done it all, and who still takes the time to pass along his thoughts on the craft of writing. Well! That's it for now. If you'd like to sample Lee's writing wares, sign up for his newsletter and he'll send you a free electronic copy of "McGrave." It's a fast paced, engaging, and (of course!) suspenseful, thriller. 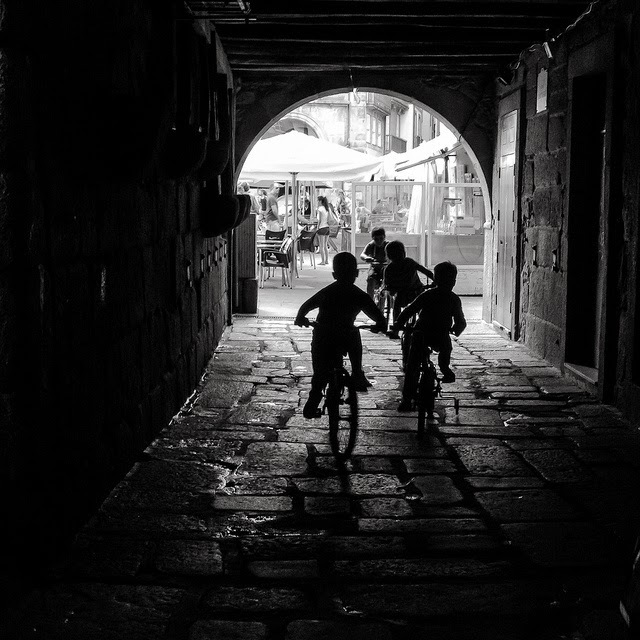 Photo credit: "The Race" by Vieira_da_Silva under Creative Commons Attribution 2.0.